Neil graduated from Loughborough with BEd and MSc degrees and earned his PhD and Higher Doctorate (DSc) at Exeter. He has been awarded Honorary Doctorates by Universities in Europe and North America. Neil was appointed to Exeter in 1984 and was promoted to the first UK University Personal Chair in Sport and Health Sciences in 1992. He initiated the study of sport science in Exeter, founded the Children’s Health and Exercise Research Centre in 1987 and established the Department of Sport Science in 1998. He served as Head of the School of Postgraduate Medicine before founding the School of Sport and Health Sciences in 2002. He was appointed Deputy Vice-Chancellor in 2005 and served as Senior DVC and then as the University’s Inaugural Provost until 2014 when he decided to return to his research and writing. Neil chaired the Sport Science Panel in the first two HEFCE Research Assessment Exercises (now REF). He was the first scientist to be awarded Fellowship of the British (FBASES), European (FECSS) and American (FACSM) Colleges of Sports Medicine/Science and he is the only person to have chaired both BASES and the Physical Education Association of the UK. 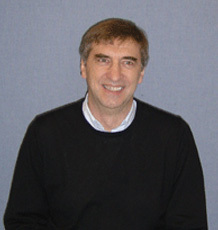 He has chaired the Board of European Pediatric Work Physiology (PWP) since 2005. He served two terms as Chair of South West Sport (Ministerial appointment) and he chaired the South West 2012 Olympics Legacy Project. Neil led the physiology team in the development of the International Olympic Committee (IOC)’s guidelines for training elite young athletes. Over the last 20 years he has been a chair or member of numerous International Expert Committees (including those of IOC, WHO, FIMS, PWP, EUPEA and FIG) focused on the promotion of children’s sport, fitness, health and well-being. Neil’s research won the first (and to date only) Queen's Anniversary Prize for Higher Education to be awarded for research in sport and exercise medicine. The Queen’s Anniversary Prize, awarded for ‘world class work which is of outstanding quality and importance to the nation’, was presented by HM the Queen at Buckingham Palace. An active sportsman in his youth, Neil represented England at under15, under18 and University level and played professional football for 10 years. He remains a dedicated and optimistic supporter of Newcastle United despite the fact that they have not won a domestic trophy since 1955.